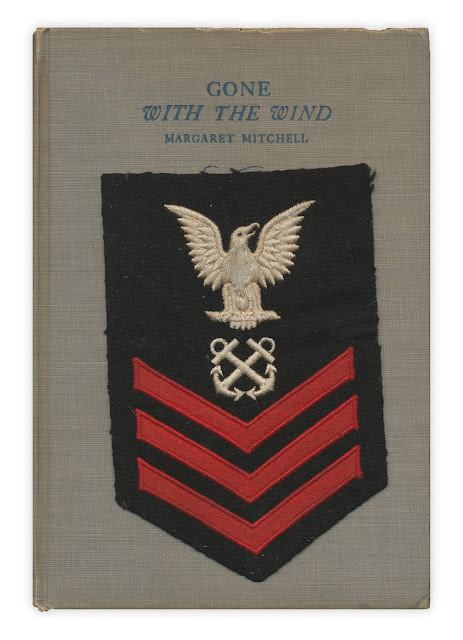 Military patch, looks like it might be for a Naval Petty Officer First Class. On the reverse side of the patch, the year 1941 is stitched in. Found in "Gone With the Wind" by Margaret Mitchell. Published by Macmillan, 1936.